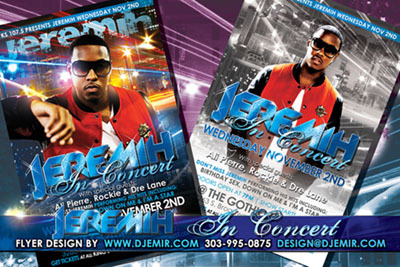 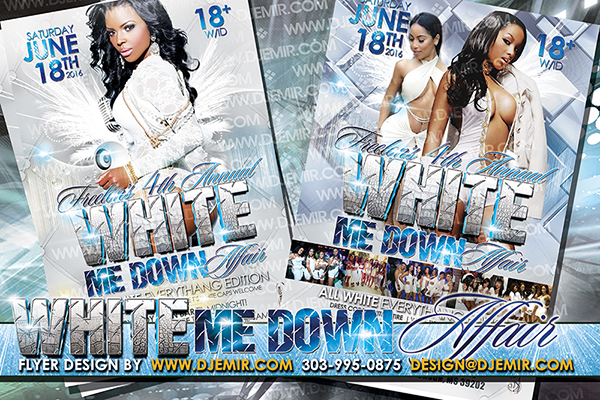 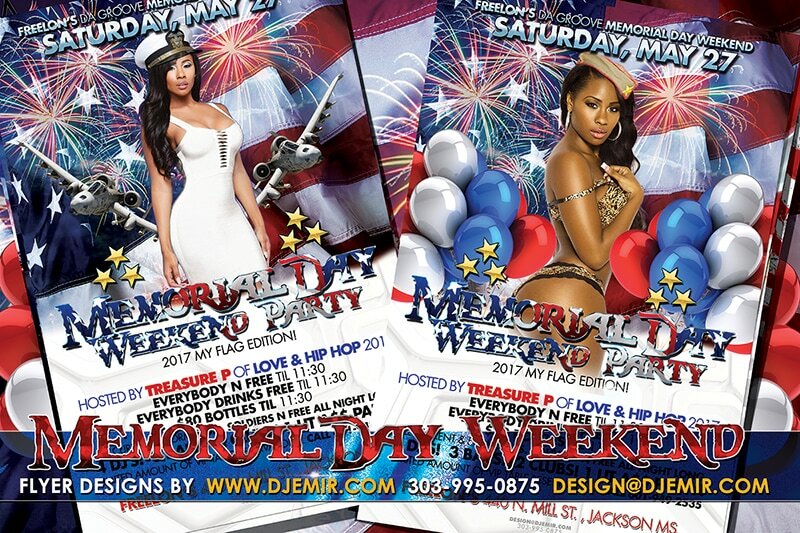 PS: If you are throwing an All White Party an all black or all red party a pink party or any color themed party like a Traffic light party or Green and Gold St Patrick's day party flyer we do a phenomenal job on themed flyer designs and can get the amazing flyer design you need to match your event. 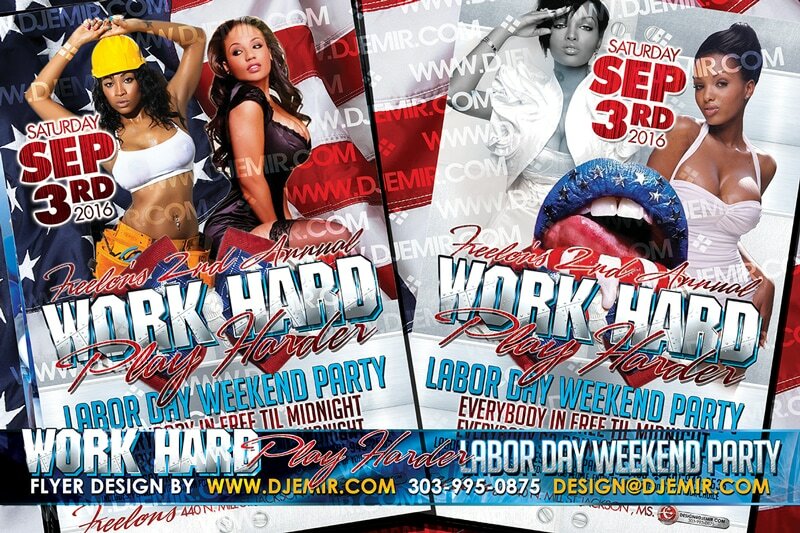 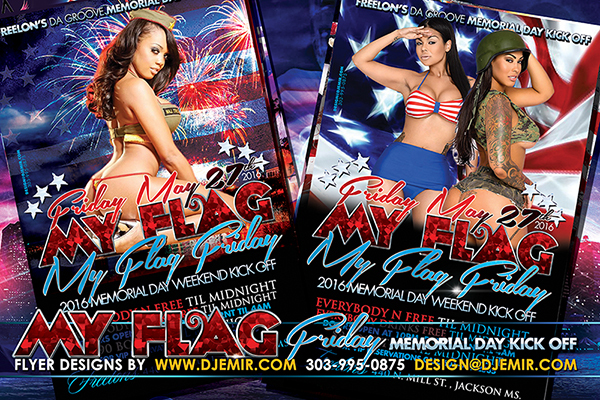 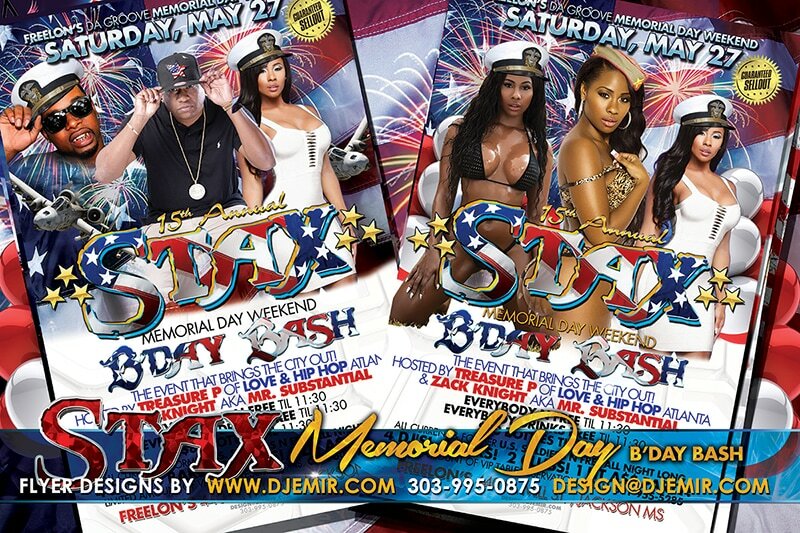 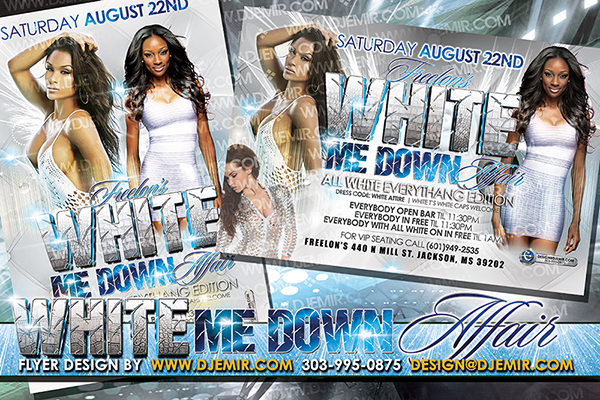 My Flag Friday: Memorial Day Kick Off Party Flyer designs Jackson MS. 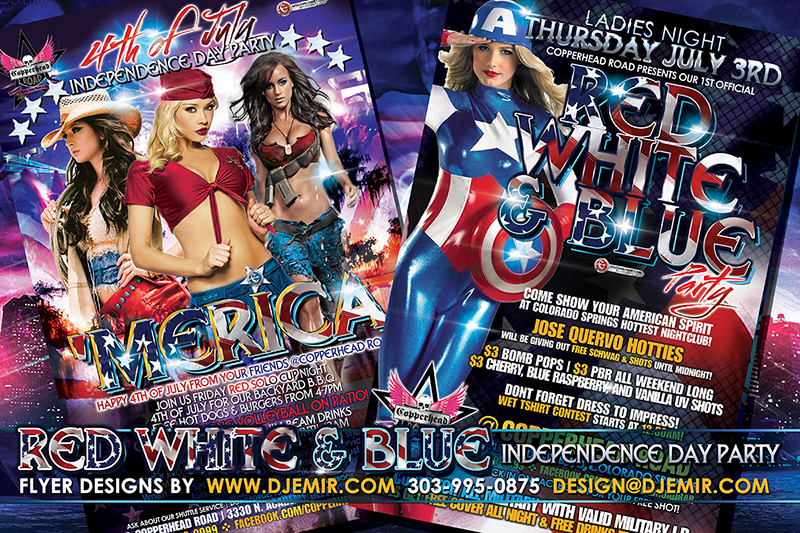 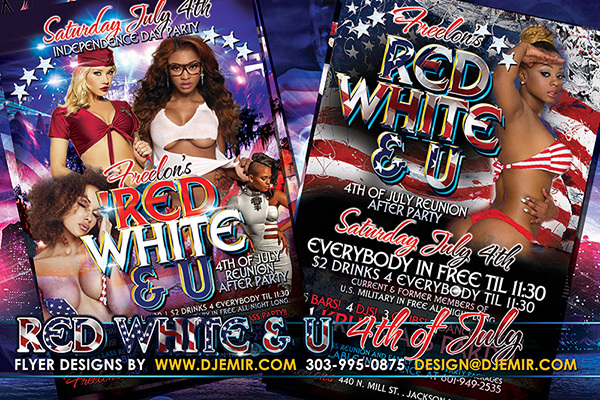 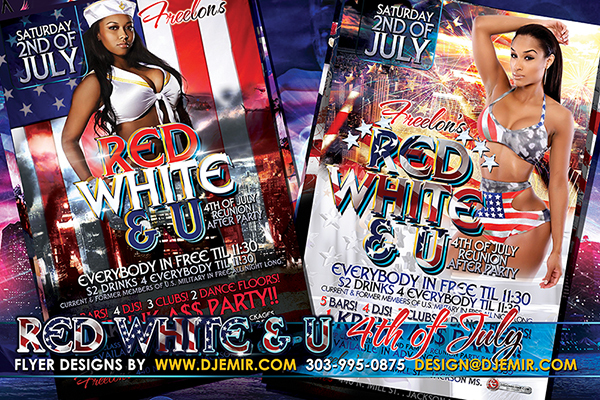 This particular design can also easily be altered to design an amazing 4th of July Independence Day flyer as well.